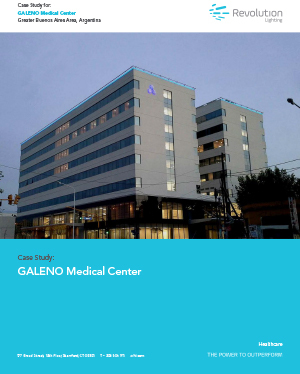 GALENO Medical Center - Revolution Lighting Technologies, Inc.
Revolution Lighting’s 360-degree uniform illumination provides the true look of neon while using 80% less energy. Efficiency for the retrofit areas was improved by 80%. Our LED solutions deliver superior and appealing ambient lighting to achieve a well-designed space.